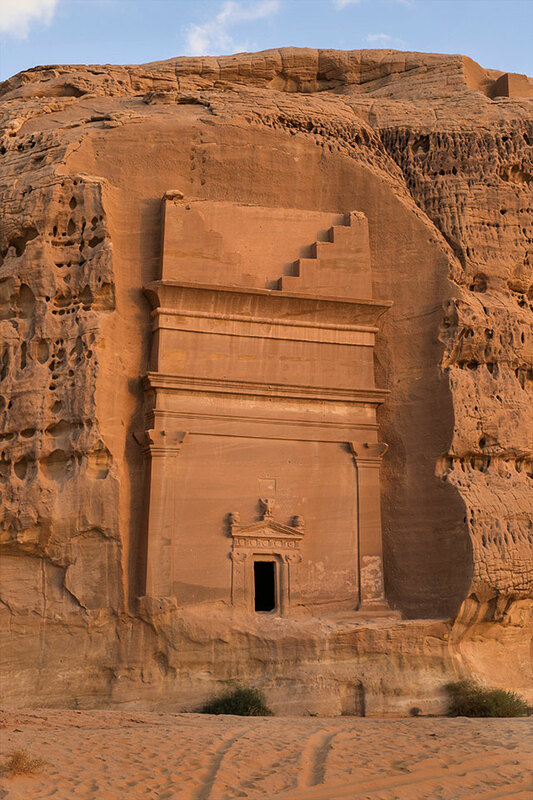 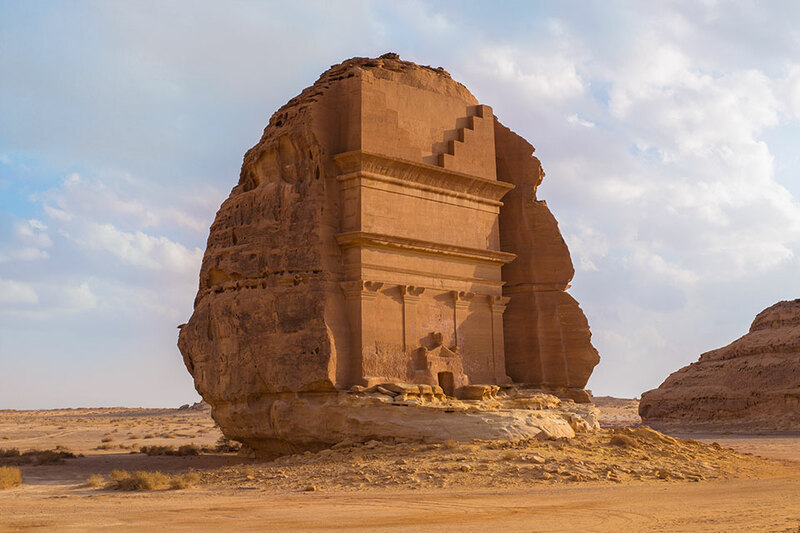 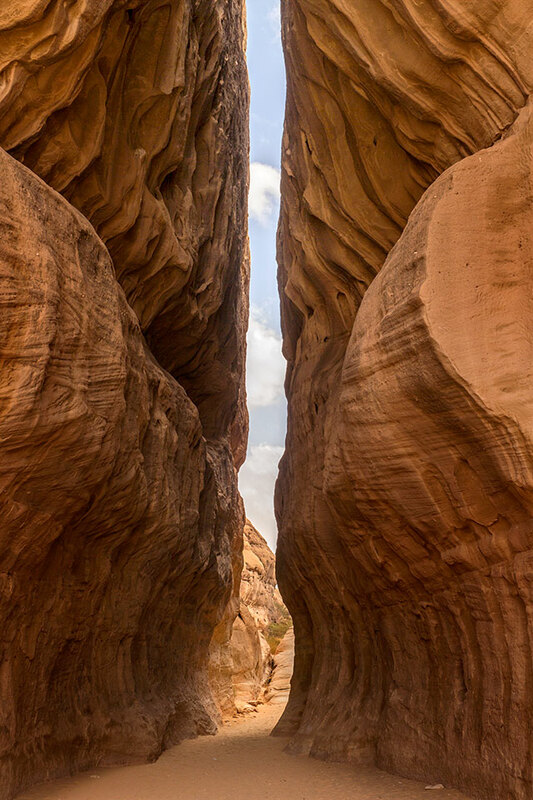 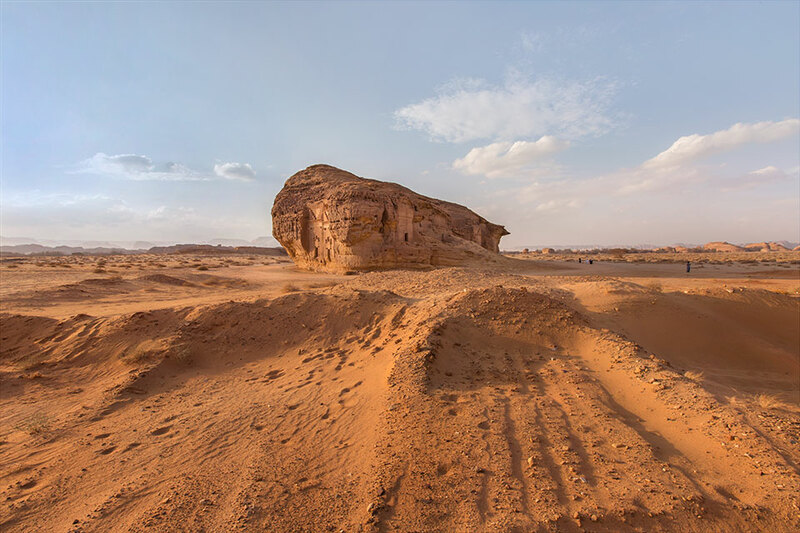 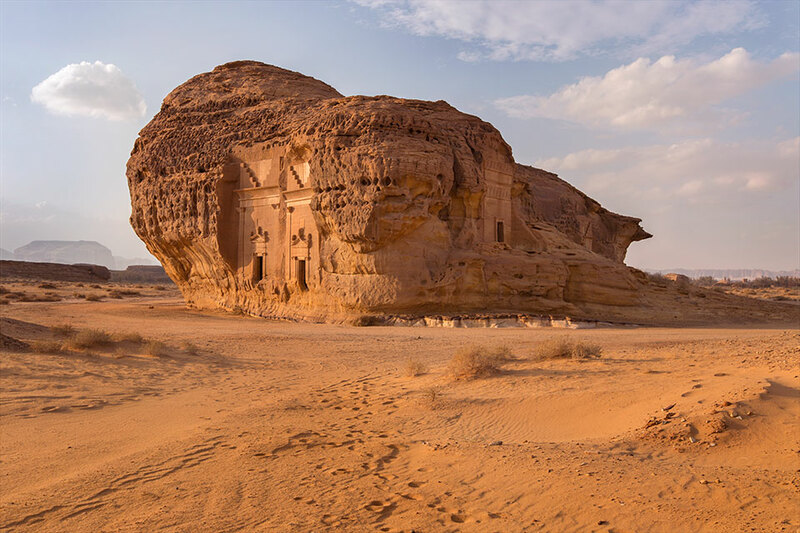 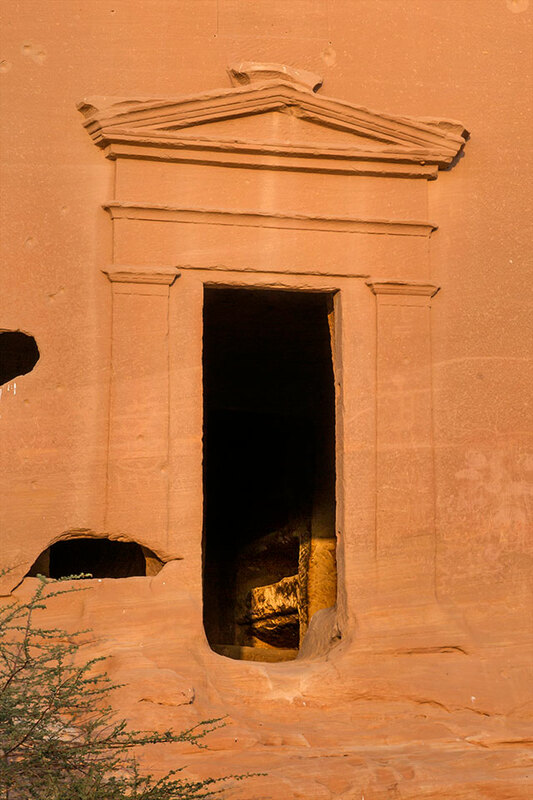 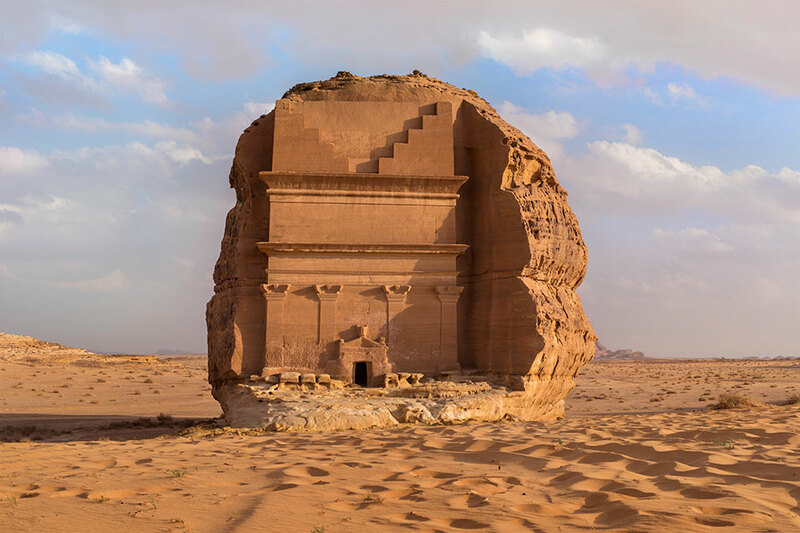 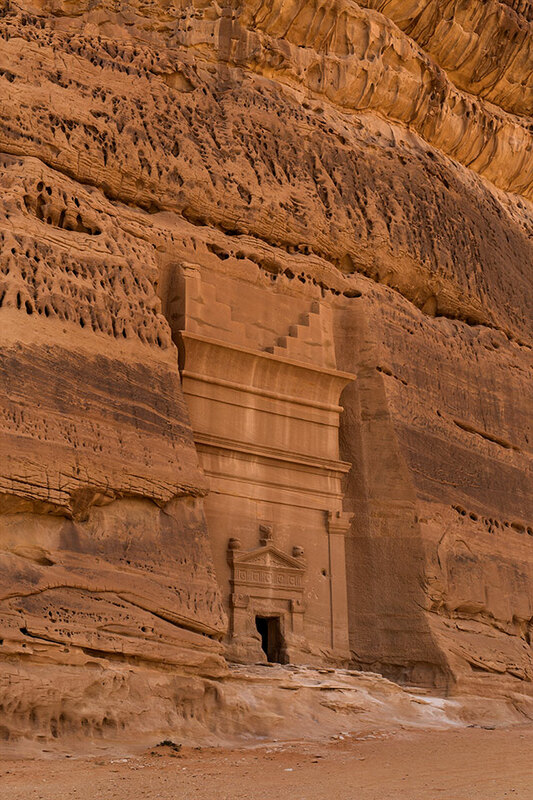 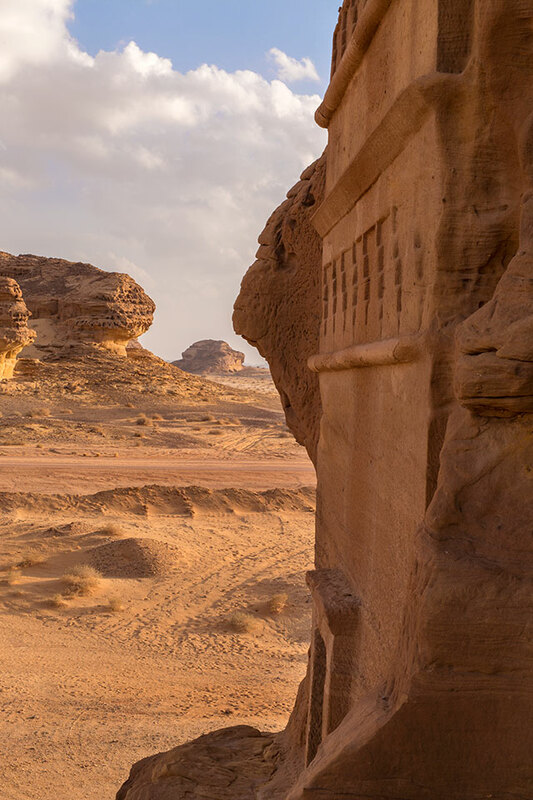 Mada’in Saleh, also known as Al Hijr, in the north of present-day Saudi Arabia, was settled by the Nabateans from the second century B.C. 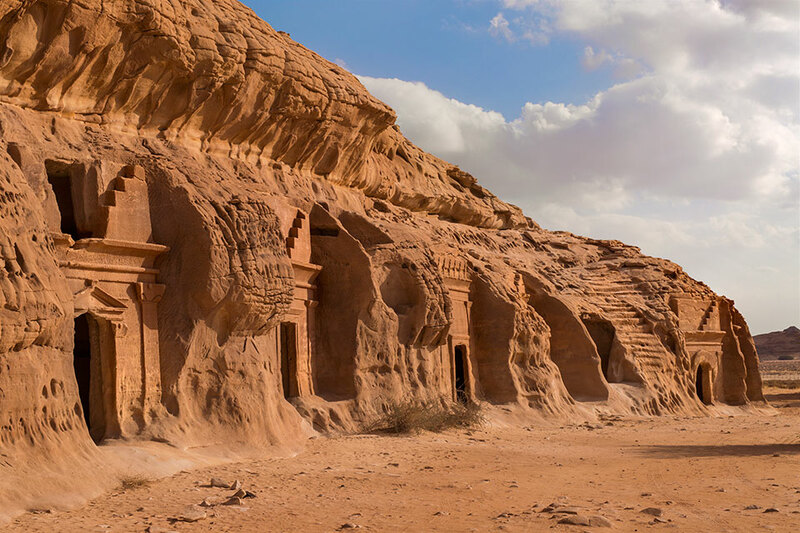 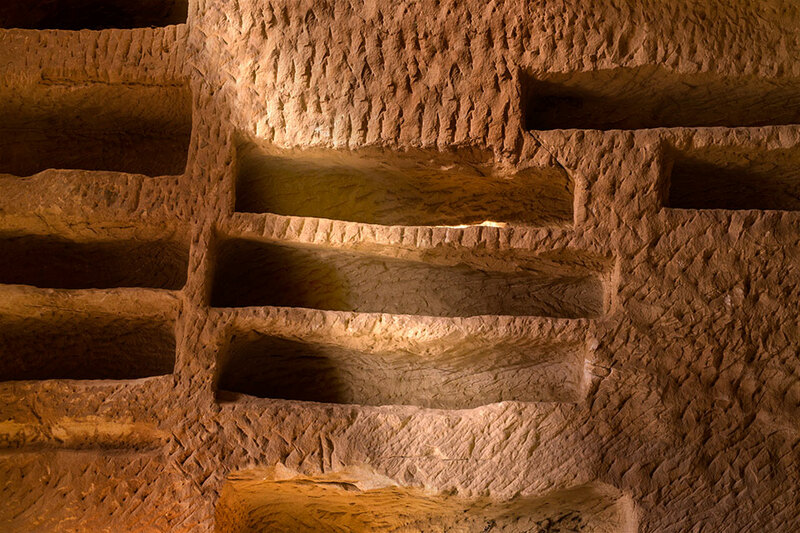 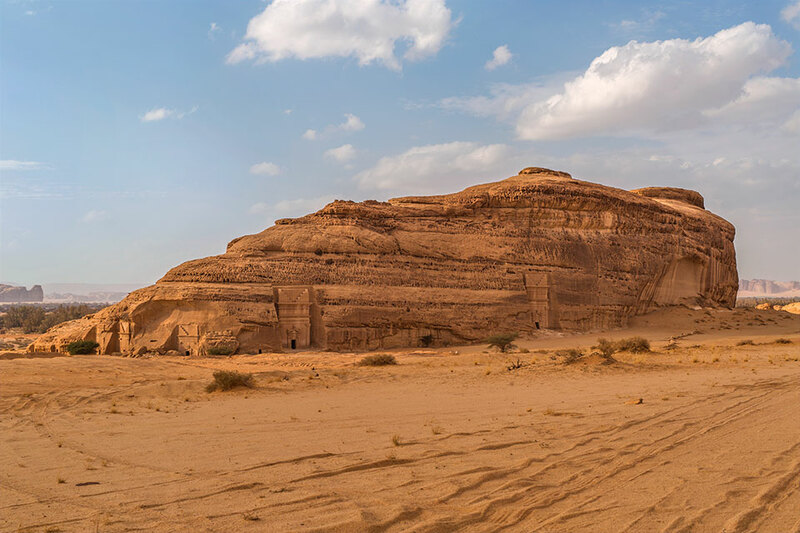 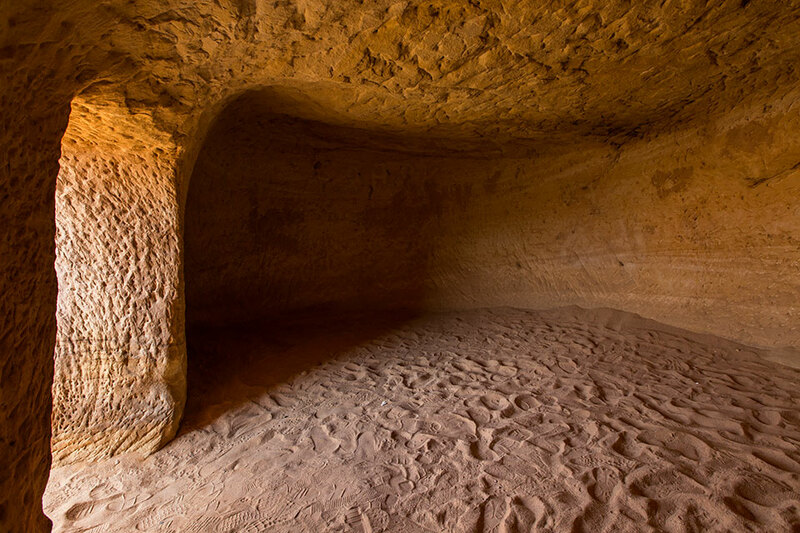 Although few visible traces remain of their ancient city above ground level, they left behind awe inspiring tombs carved out of the surrounding rocky outcrops. 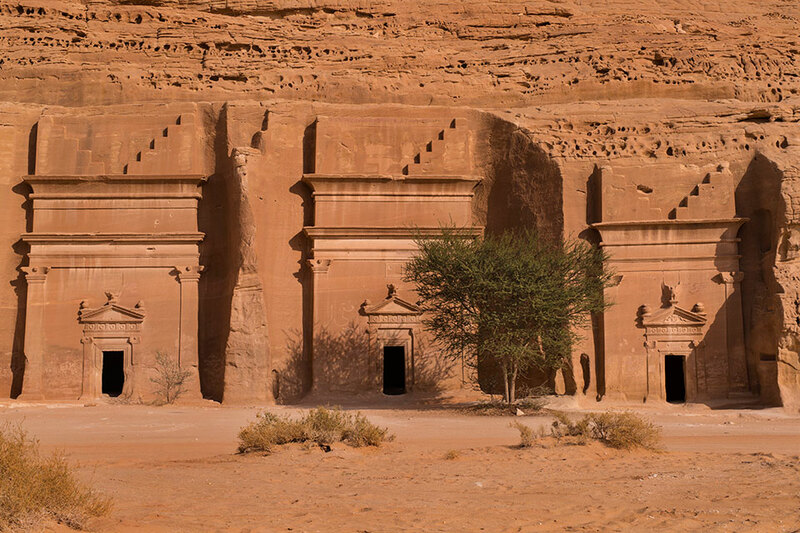 During the early Islamic period, Al Hijr became an important stop on the pilgrim route to Madinah and Makkah, and a fort, reservoir and camp were built. 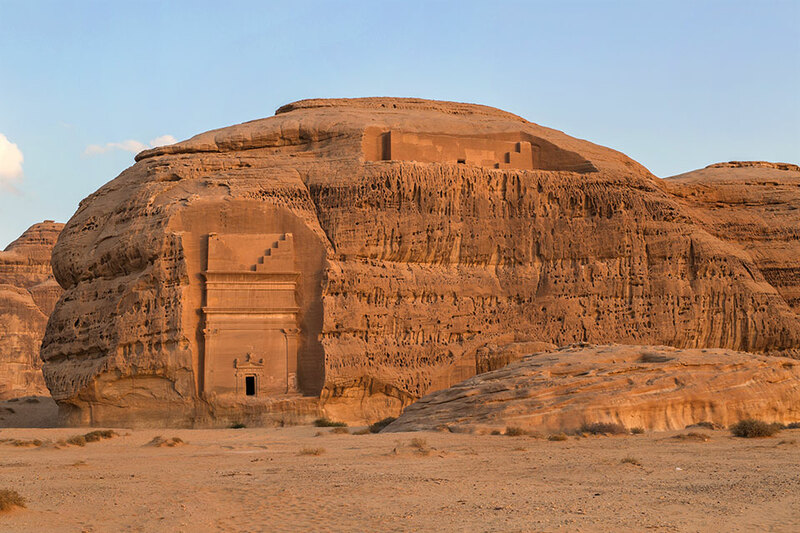 At the beginning of the twentieth century, the Hijaz Railway from Damascus to Madinah crossed through the site and a station was built nearby. 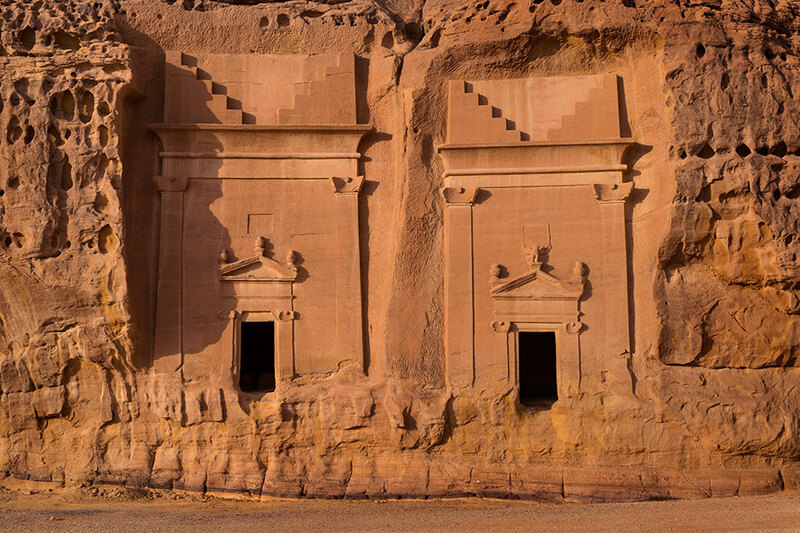 The tombs are spread around a 15 square kilometre area. 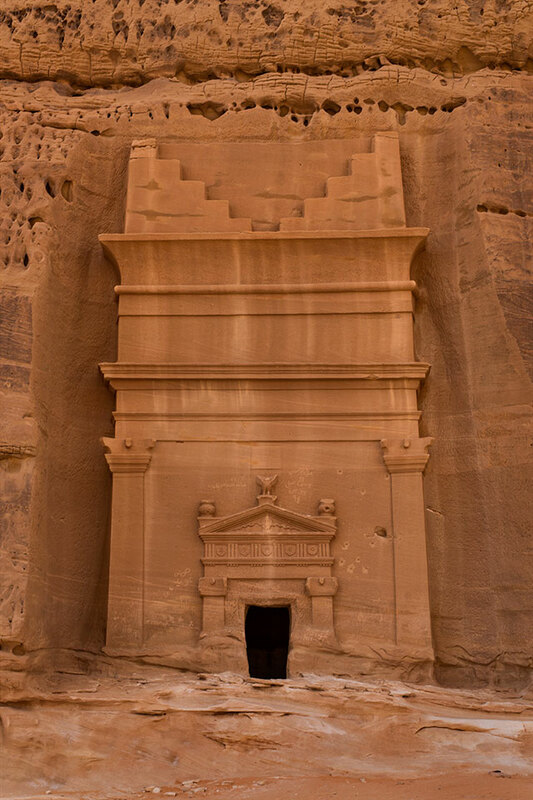 Most contain inscriptions on the upper part of their entrances which state the name of the tomb’s owner and the people entitled to be buried there.